From left to right: Geoff, Venetia, Judith, Claire and John. 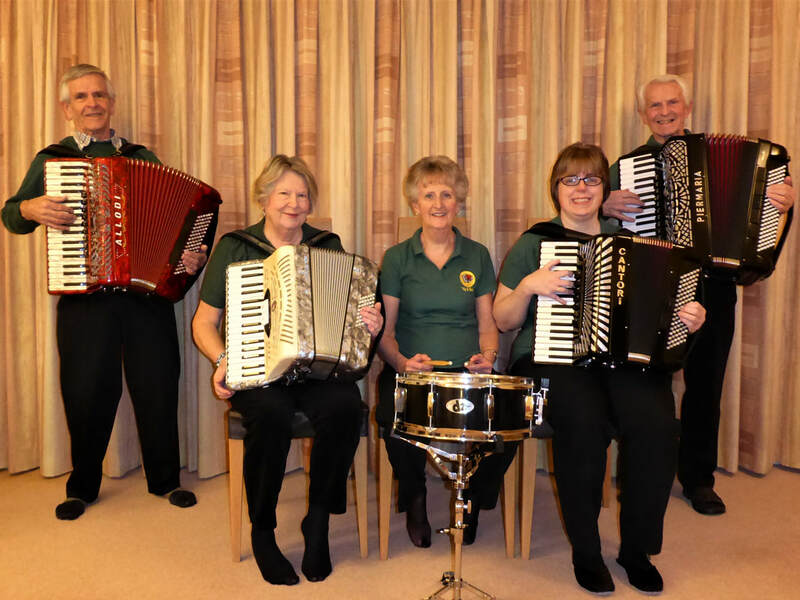 In 2010 four accordionists from mid-Cornwall who had been playing popular, easy-listening, and traditional music, developed an interest in folk dancing and the type of music associated with it. Within a few months, music suitable for 'Barn Dances' was acquired, and with the help and advice from Beryl Jukes, a well-respected caller, the four formed themselves into a Band, selecting a name that suggested the type of music and the functions at which they would play. 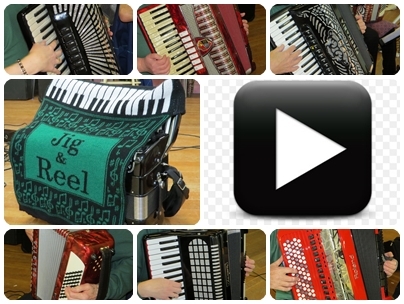 So "Jig & Reel" was formed and played in October 2010 at a Barn Dance for a local Cornish Charity. Since then the Band has played regularly all over the County and participates each month at Dances with the Fraddon Club.